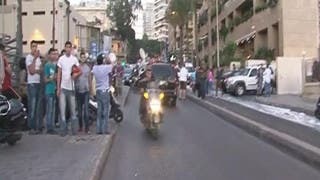 The Al-Qaeda-inspired Islamic State of Iraq and Greater Syria (ISIS) claimed responsibility Friday for this week's Beirut hotel suicide bombing, warning that dozens of more men plan to carry out similar attacks. The claim, in an online statement, was the first by the group for a suicide attack in Lebanon. It recently captured wide areas in northern Iraq and eastern Syria. 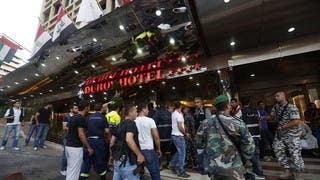 A suicide bomber blew himself up at a Beirut's Duroy Hotel on Wednesday when security forces raided it to arrest him. His accomplice was wounded and was being questioned at a Beirut hospital. Lebanese officials said both men were from Saudi Arabia. Eleven people, including three security men, were wounded in the blast. The statement said the two men blew themselves up while surrounded by members of the country's powerful General Security. It claimed that the security agency is loyal to the militant Hezbollah group that has been fighting in Syria along with President Bashar Assad's forces. It referred to Hezbollah which is Arabic for party of God as "the party of Satan." "We tell the party of Satan and its army in Lebanon that this is only the beginning. Get ready for hundreds of martyrs who love the blood of Rafida," the group said, using a derogatory term for Shiite Muslims. It was the third suicide bombing in Lebanon in less than a week and sparked fears of renewed violence. Lebanon has been hit by a wave of attacks over the past year that left scores of people dead. Previous attacks were claimed by the Al-Qaeda-linked group, the Abdullah Azzam Brigades, and the Al-Qaeda-linked Al-Nusra Front. Both groups have warned that such attacks will continue as long as Hezbollah takes part in Syria's civil war alongside Assad's troops.